Antalia Gestió Empresarial, s.l. 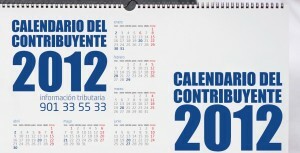 us facilita a sol un click l’enllaç del Calendario Oficial del Contribuyente per a l’exercici 2012 que ha portat a terme l’Agència Tributària. per facilitar-los el recordatori de totes les nostres obligacions fiscals, organitzat per mesos. Thank you very much Alan! And welcome! .^_^. Wow, marvelous blog layout! How long have you been blogging for? you made blogging look easy. The overall look of your website is magnificent, let alone the content!. Thanks For Your article about asesoria en Barcelona – Gestoria en Barcelona | ANTALIA GESTIÃ“ EMPRESARIAL . We love to share informations, comments, and so on. We are pleased of your interest in our site. Thank you very much .^_^. We are pleased of your interest in our site. Welcome! I have been absent for some time, however I recall why I did previously love this web site. Thanks, I’ll try to return more often. How often you improve your site? Hey There. I found your blog using msn. This is an extremely well written article. I’ll make sure to bookmark it and come back to read more of asesoria en Barcelona – Gestoria en Barcelona | ANTALIA GESTIÃ“ EMPRESARIAL . Thanks for the post. I’ll certainly return. Hey There. I found your blog using msn. This is a very well written article. I’ll make sure to bookmark it and return to read more of asesoria en Barcelona – Gestoria en Barcelona | ANTALIA GESTIÃ“ EMPRESARIAL . Thanks for the post. I’ll definitely return. asesoria en Barcelona – Gestoria en Barcelona | ANTALIA GESTIÃ“ EMPRESARIAL Very nice post. I just stumbled upon your weblog and wished to say that I’ve truly enjoyed browsing your blog posts. In any case I’ll be subscribing to your feed and I hope you write again soon! Have you possibly taken into consideration including a bit more than simply your current articles or reviews? I mean, the things you state really are fundamental and every thing. Having said that give thought to if you put in some great shots as well as video tutorials to grant your current discussions further, “pop”! Your content is fantastic but with the help of pics together with clips, your blog may well surely end up one of the greatest inside the area. Amazing blog! asesoria en Barcelona – Gestoria en Barcelona | ANTALIA GESTIÃ“ EMPRESARIAL Pretty nice post. I just stumbled upon your weblog and wanted to say that I have really enjoyed browsing your blog posts. After all I’ll be subscribing to your feed and I hope you write again soon! Hi, i think that i noticed you visited my site so i got here to “return the favor”.I am attempting to in finding things to enhance my site!I suppose its good enough to use some of your ideas! !